Co-operativesUK is the apex body for all kinds of co-operatives in the UK, an Industrial and Provident Society that is democratically controlled by its members. They were formed in 2003 from the merger of the Co-operative Union and Industrial and Common Ownership Movement (ICOM): ICOM was formed in 1971 as a membership organisation for non-consumer co‑operatives; the Co‑operative Union was founded in 1869 to promote the interests of the consumer co-operative movement. Together, they are now the guardian of co-operative values and principles for the UK movement, and a strategic voice for co-operation across the country. Between them, their 11.3 million members across the UK create and sustain over 205,800 jobs in 4,820 enterprises, and turn over £28.9 billion per annum. 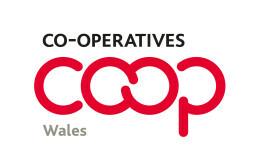 Co-operatives and Mutuals Wales meets regularly, campaigns for and represents the entire movement, from Retail Co-operatives, Financial Co‑operatives (eg Credit Unions), Community Co‑operatives, Farmers Co‑operatvives, Secondary & Marketing Co-operatives and Mutuals to Worker Co‑operatives.